A social media strategy is a series of actions that are part of a marketing plan for a brand, celebrity, institution or others. The success of social media marketing lies in following a strategy and leaving nothing to chance. If you are new in the world of social media marketing and you want to get off to a good start, follow these seven steps to create a successful social media strategy. What happens to your digital accounts once you pass away? By “concept,” we mean to have a purpose, a reason for the campaign; its name. Let’s take a practical example: Christmas is coming, and you want to make the most out of the season to increase the number of followers, sales or engagement rate. Now, let’s consider that the concept of your social media strategy is: %OFF in a Christmas Box! That should be the core idea of your social media marketing plan for the holidays. Therefore, all your actions should be focused on that concept. Before your first tweet or your first Instagram story, you have to be aware of your goals or what you hope to achieve by implementing the social media strategy. Those goals should be related to your business strategy: boosting sales, building brand awareness, others. However, social media marketing has “universal goals” to consider: new followers, increasing interactions (likes, shares, comments, DM, repost, etc. ), engagement rate, number of page or profile views, and the reach of your publications. In social media marketing, your audience is as important as your message. That’s why learning about your target audience is essential in your social media strategy. Nowadays, it is trendy to group people with common psychographic characteristics. According to your concept and goals, you should sort your audience by likes, interests or dreams. Furthermore, you have to take into account demographics like gender, age, geographic location, and socio-economic background. Defining your target audience allows you to create content and make decisions based on their behavior. Insight, in marketing, is that moment, thought, feeling or need that you identify in your target. This step is aimed to analyze in depth your buyer persona so that your social media strategy responds to your target. The prime purpose is to connect on an emotional and rational level with them. A little trick is to walk in the customer’s shoes instead of thinking like a brand. Your brand should have a voice of its own, just as you have your way of talking. That voice is the way your brand “talks” on social media channels. A successful social media strategy has voice and personality in communicative scenarios. Bear in mind two things: your brand or product identity and your target. For example: if your brand is a crossfit gym and your target are men between 20 and 35 years old, your voice should be cheerful, sporty, with a strength of character, motivated and vigorous. Defining your voice is giving personality and attributes to your brand to humanize communication in your social media strategy. You are almost ready for a successful social media strategy! This is the time to decide on the practical measures to take on social media channels. Tasks range from choosing the right social network for your brand, to selecting your words, ideas, and hashtags to share in your messages. Other actions to develop are conventional publications, surveys, streamings, influencers plan, promotions, co-branding strategies, Ads investment, blogging, email marketing, etc. 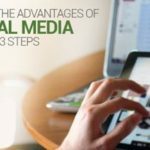 Think of the measures to follow in every social network, set the time, and succeed in your social media strategy. You should develop an analysis at each time of the day: morning, afternoon, evening. Monitor your social media strategy constantly since the first day to assess how it evolves and the reaction of users. A common mistake in social media marketing is to analyze results only at the end of the strategy. Pay attention to the process. All successful social media strategy is adjusted along the way. The final analysis is essential too. Our recommendation is to use these tools in this step: Facebook Insights, Instagram Insights and Twitter Analytics. Now that you found out the seven steps to create a successful social media strategy, it is time to learn about our digital marketing agency: Virtually Present. We have the know-how, the experience, and we are willing to help you developing a great social media strategy. Contact us here! Commenting or sharing this piece of our work will not save the world, but you could help others to improve their social media strategy. She is passionate about Social Media, literature, Netflix, coffee and animals.